Hungry? A new neighborhood Mexican spot has you covered. Located at 2607 W. Pacific Coast Highway, the fresh addition is called GuacAmigos and it comes courtesy of three restaurateur brothers and professional skateboarder Tony Hawk, Save Newport reports. On the menu, look for starters such as fresh fish ceviche, caviar tacos and fried avocado slices. 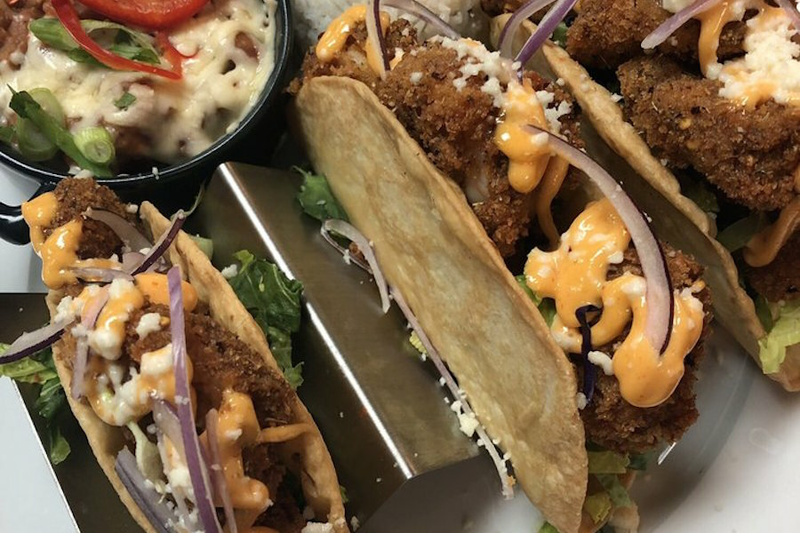 Specialty "taco decks" are on offer as well, with protein options that range from King crab and carnitas to seared ahi tuna and waygu carne asada. With three stars on Yelp, GuacAmigos is still finding its footing. Jennifer Irene G., who was among the first Yelpers to review the new spot on Feb. 19, wrote, "Granted the view is beautiful, but the service and the atmosphere is not good enough for the prices." "Great view, great atmosphere, great staff and great food," shared Yelper Preston E. "A little pricey, but I would say worth the price." GuacAmigos is now open at 2607 W. Pacific Coast Highway., so stop in to try it for yourself.